My name is Philip Leonetti, or I should I say that was my name. For the last twenty years I have lived under a different name since my defection from the mob, or as we called it, La Cosa Nostra, which means this thing of ours in Italian. My decision in 1989 to become the highest ranking member of La Cosa Nostra to break the sacred vow of omerta, the mafia's code of silence, has made me a marked man for the rest of my life. As I write this, there is a reported $500,000 bounty on my head to anyone who can find me and kill me. Today I am 59 years old and living far away from the Atlantic City Boardwalk I once controlled with my uncle, a man named Nicodemo Scarfo. Back then they called us "Little Nicky" and "Crazy Phil." Murder, loan-sharking, extortion, beatings, illegal gambling, you name it, we did it all. We were the real Boardwalk Empire. Movies like The Godfather, Goodfellas, A Bronx Tale and Casino and television shows like The Sopranos have offered dramatic interpretations of our life, but my life wasn't a movie, or a TV show; it was the real thing. One time, my uncle used me as a decoy to help him following a murder that he had just committed. As we were driving in the pick-up truck that had just been used to transport the dead man's body to a freshly dug hole in the woods where he was buried, my uncle told me what he had done and why he had done it. My uncle told me he had to gone to a bar in South Jersey and killed a man because the man had disrespected the honor of a very powerful man in La Cosa Nostra. My uncle told me that in our life, honor and respect meant everything, and that the man he killed was not an honorable man and that's why my uncle had to kill him by stabbing him repeatedly with an icepick. I was 8 years old at the time; this is how I was raised. As I got older I too became a killer, personally killing two men who my uncle said were not honorable and had to die as a result. I shot both men in the back of the head and at the time, thought nothing of it. Murder was a part of our life. When I was 27, my uncle proposed me for membership into La Cosa Nostra and the boss of our family, a man named Philip Testa, who was nicknamed "The Chicken Man" and was one of my uncle's best friends, watched as my uncle pricked my trigger finger with a gold tie pin, making it bleed, and handed me a card with the picture of a saint on it, which was lit on fire, and said, "May I burn like this saint if I betray my friends" as I juggled the picture and repeated the phrase until the flames went out. When it did, I was formally initiated into La Cosa Nostra, this thing of ours. I was a made man. For a young gangster, this was like being a baseball player and getting drafted by the New York Yankees. Less than a year later, Philip Testa was dead; having been killed by a powerful nail-bomb that was planted and detonated by members of a rival faction within our crime family. My uncle and I were "the racket boys down on the Boardwalk" that Springsteen sang about and what we did was kill everyone who had been involved in the murder of Phil Testa. Following the murders, my uncle became the boss of the Philadelphia/Atlantic City La Cosa Nostraand I eventually became his underboss, which means I was second in command. We were making millions of dollars and we were untouchable, or so it seemed. By 1989, when I was just 36 years old, me, my uncle and more than dozen members of our family were convicted and sentenced to lengthy federal prison terms. I was convicted of participating in ten mob murders and got 45 years and my uncle got 55. Instead of life being over for me, in many ways it was just beginning. 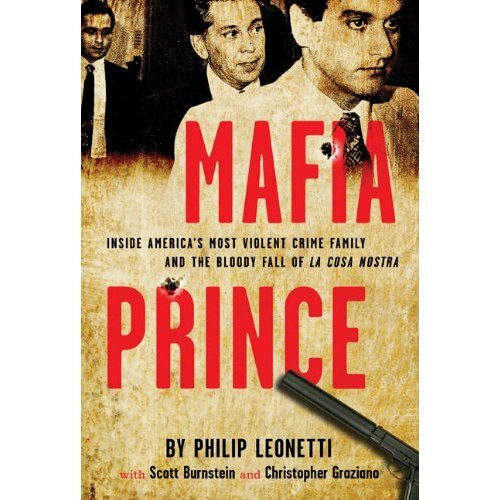 In my new book Mafia Prince: Inside America's Most Violent Crime Family and The Bloody Fall of La Cosa Nostra (Running Press / Perseus), which came out today , I talk about my life both inside the mob and out in brutal, painstaking detail, pulling no punches. Readers will get the inside story on all the murders, all the treachery and the real reason I decided to betray both my uncle and La Cosa Nostra and how I am currently living my life today, away from the mob that still wants to kill me. You will read about my dealings with some of the most notorious gangsters in the history of La Cosa Nostra, men like John Gotti, Sammy "The Bull" Gravano, Vincent "The Chin" Gigante and for the first time anywhere, the definitive account of the bloody rise and treacherous fall of my uncle Nicodemo "Little Nicky" Scarfo and The Boardwalk Empire that he and I created together in Atlantic City and that I destroyed when I left La Cosa Nostra. Today I am a law-abiding citizen who works a 9-to-5 job. My friends, neighbors and co-workers have no idea who I was or what I did in my previous life. If they read Mafia Prince they would think it was fiction, but it is not. It is the story of my life. 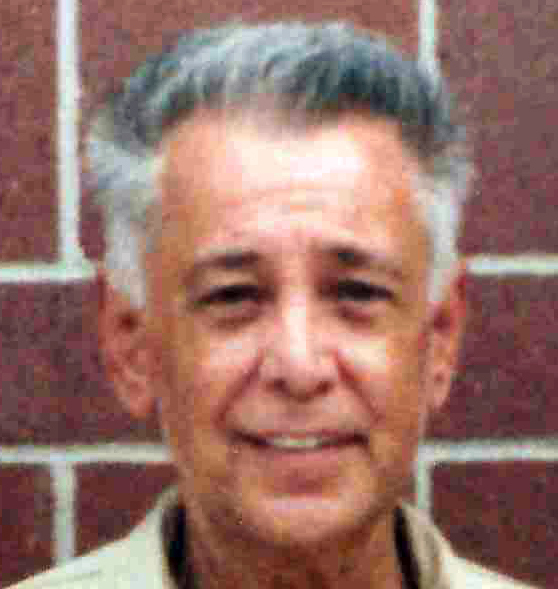 Headshot is of Uncle Nicodemo "Little Nicky" Scarfo, the jailed-for-life Philadelphia/Atlantic City mob boss.